Authentic, hand woven Panama hats that set the standard for quality and heritage. The finest fur felts available, all hand finished in the USA. We offer styles, not fashions. We are Montecristi Custom Hat Works of Santa Fe. What style, material and quality of hat suits you and your favorite wear occasions best? Many details come together to make a hat from Montecristi your very own. Let’s explore your options. A classic choice for warm weather, now worn year-round. Our Panama hats start at $800. All our styles come in three grades — Fino Select, Extra Fino and Super Fino. 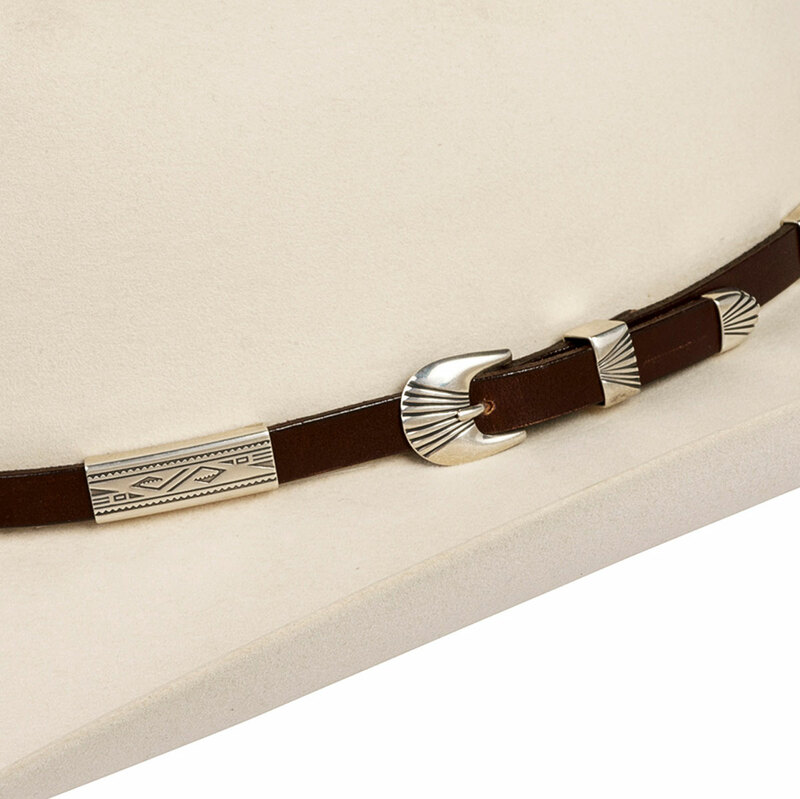 Distinguish your hat choice with an unique, jewelry-quality hat band. Each is created by artisans in gold, silver or leather, and set with precious and semi-precious stones and other traditional materials. Choose from our classic fur felt styles, dress weight hats and Super Premium line. Prices vary depending on the quality of the material. 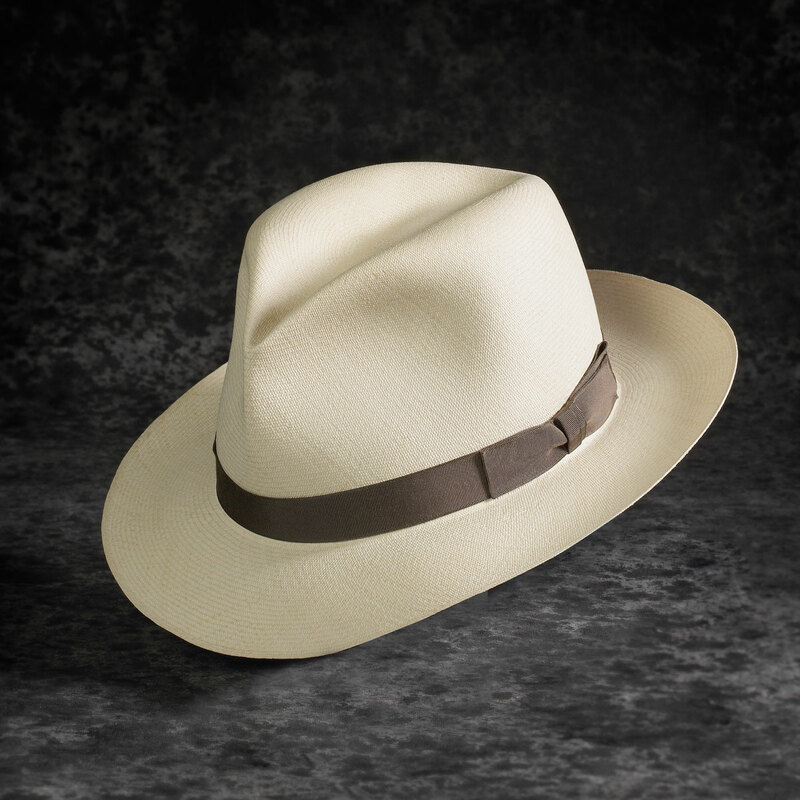 A Panama hat by Montecristi is the product of months of weaving by expert Ecuadorian hatmakers and precise shaping by our own craftsmen. Each is a masterpiece that can last a lifetime. Hat sizes are approximations — and for Montecristi, approximations won’t do. So we hand-shape your hat to fit you perfectly. Learn more about our customization process here. Choosing among all our hat types, styles and details can be daunting. If this is your first hat by Montecristi, consider calling us directly to get started. Or browse our catalog here. 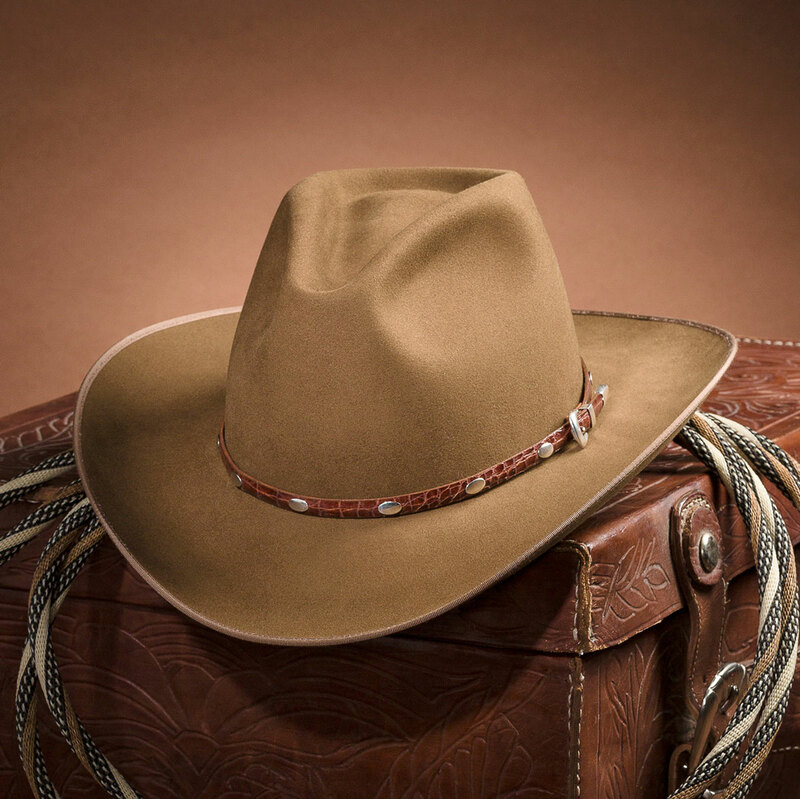 Protect your investment in a hat by Montecristi through proper care. When necessary, we offer reshaping and restoration. And we guarantee your satisfaction unconditionally. Our store is located in the heart of Santa Fe, New Mexico. Our staff is ready to help you with your custom fit and purchase. If you are a member of the media, please contact us at XXXXX@montecristihats.com for a password to the media section of our website.